1920s Berlin was a pretty happening place. After WWI the Weinmar Republic saw an explosion of arts and culture unlike anything Germany’s seen before or since. Musicians, artists, dancers, writers, philosophers, singers, and bohemians of all stripes came together to create a vibrant arts scene that was celebratory and tolerant of nearly everything. While it was later crushed by the rise of the Nazi party, aspects of Wienmar culture still live on today in popular media. The cabaret culture of the Weinmar Era continues to inspire artists to this day, with the musical Cabaret (1966) (plus the 1970s film adaptation), and the music of Max Raabe being prime examples. Singers aren’t the only artists trying to keep the spirit of 1920s Berlin alive, however. 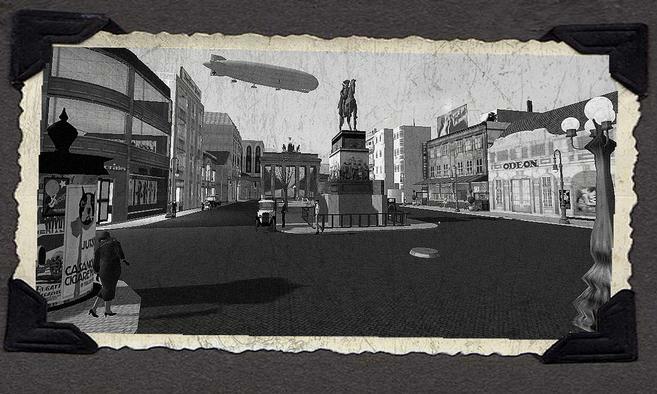 These days, a community of users on Second Life have done something amazing: they’ve created a living, breathing virtual copy of 1920s Berlin. Begun by fellow WordPress blogger Jo Yardley, who started off with recreating the Zum Nubaum hotel from paintings and old photographs, as it was destroyed during WWII, the world quickly expanded with the help of other builders to include nightclubs, bars, theaters, shops, a school, and even zepplin rides! 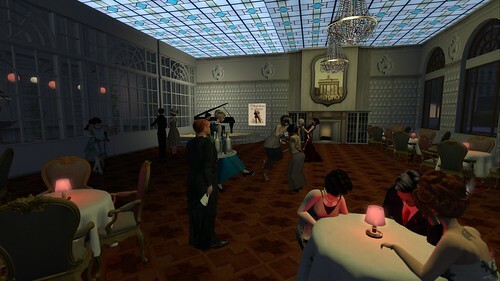 Users regularly gather in it to take German classes, buy vintage items, watch 1920s movies, listen in period music, and even dance the Charleston in one of the clubs.